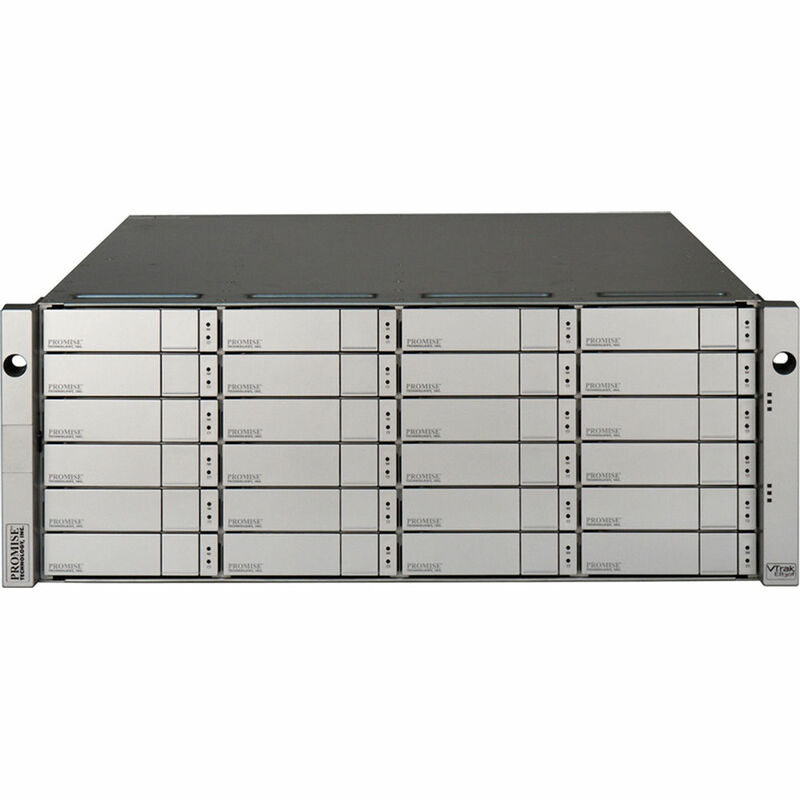 The Promise Technology VTrak E830fS 4U/24-Bay Hard Drive Array (16TB)features a single-controller RAID subsystem with 4-ports 8 GB fiber channel, and comes with eight 2TB hot-swappable Serial Attached SCSI (SAS) hard drives. There are a total of 24 drive bays. Additionally, it features a redundant hot-swappable power supply.